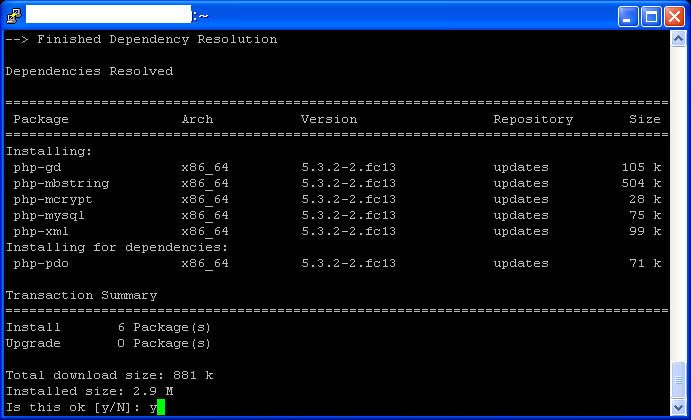 Previously, I have discussed about how to install MySQL on Fedora Linux. 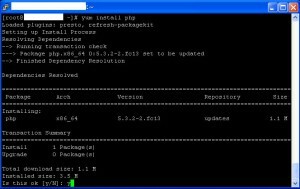 In this post, I would like to elaborate PHP installation on Fedora. Even though the installation is simple by nature, I would like to provide some notes to help you troubleshoot some post-installation problems that may occur. Note: Apache is installed by default in Fedora. You only need to configure and verify that the server is running. How to configure Apache is explained in the online documentation. If you want the server to be public, i.e. accessible from other computers in the network, you should not firewall the HTTP port, which is usually port 80. Also, if you enable selinux, you also need to properly set the flag of some security parameters related to http. I will explain about selinux and http in another post. We need to hook PHP shared object into Apache so that the web server will recognize PHP code and parse it properly. 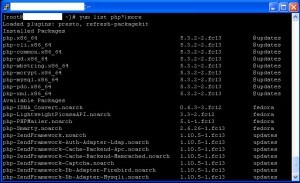 If the installation was successful, you should be able to see the details of your PHP installation from the command line interface. 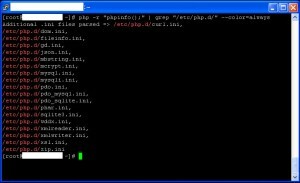 Create a file named info.php and put it on the document root folder of your server. In Windows, there is an ext directory containing dlls of PHP extensions that are bundled in the software package. However, this does not apply to Fedora Linux. Several PHP extensions are built as shared modules hence we should install them separately. 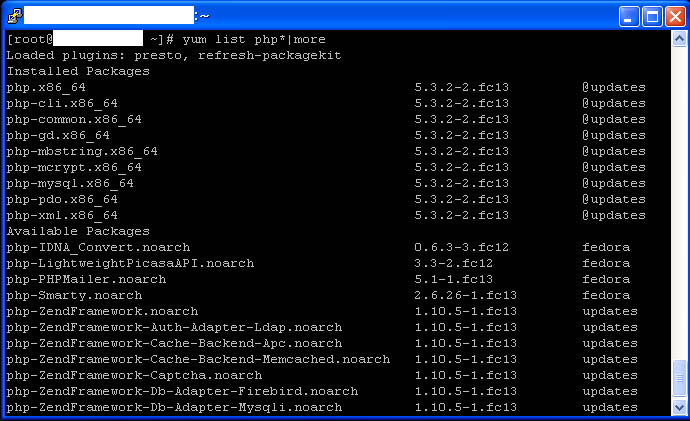 Below, you can see the list of the extra extensions we will install after the basic PHP installation. 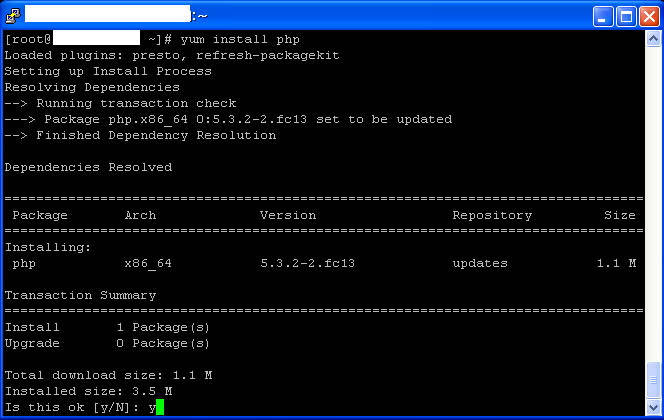 Note: if you want to find other PHP extensions installable via yum, you can simply invoke the yum list command. Restart Apache so that the changes can take effect. This entry was posted in Linux, PHP, Technical Notes and tagged Fedora on July 16, 2010 by Tech Admin. i regret to inform you that currently i’m not receiving link exchange requests. Genial post and this has helped me alot in my college assignment. Thanks for providing this information. This is a very simple, but not best method. Anyway, thank you very much for sharing this. Waiting for a post on how to compile PHP from sources. @ Tech Admin. Thanks for this article. Very good. @ Sergey Lempert. We look forward to receiving advice on the “best method”! Well this article helped me a lot with setting up of web server. I got my Apache and PHP working. Damn difficult it was. Thanx for posting this info. 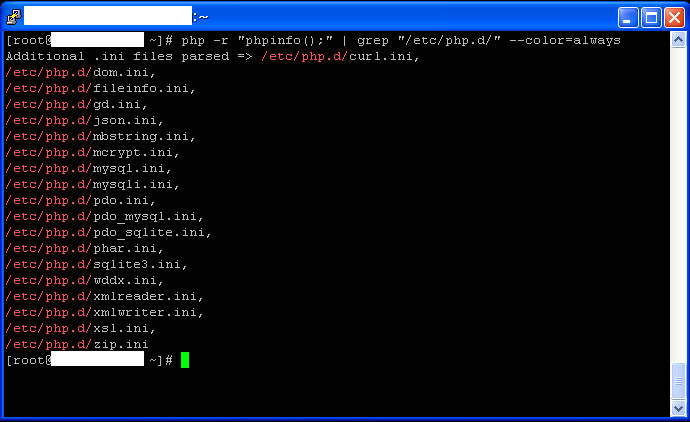 I still could not see anything from my info.php file! location of info.php file! I’m running Fedora 9.
for php and directory index value, and restarted httpd. this was much more difficult than was reasonable. I even wondered if that was someone’s plan…hmmm?? 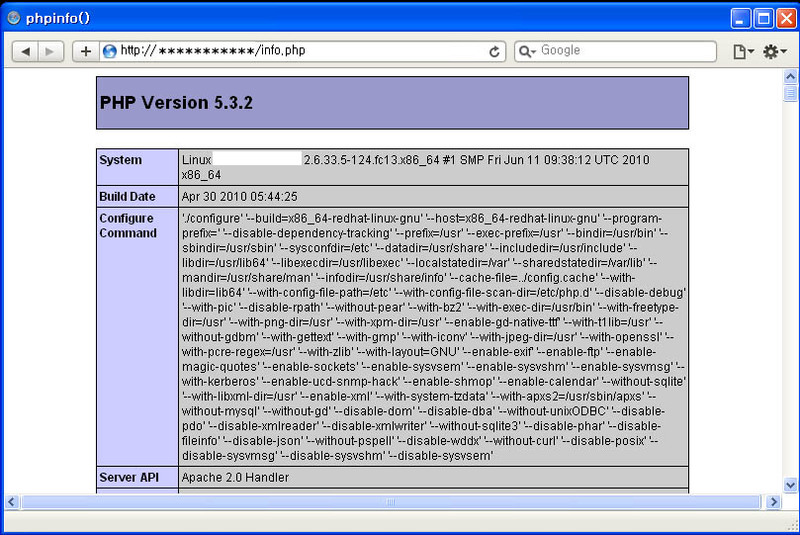 the php code to be executed by the blasted server. found that I was getting a “PHP Parse Error:” !! first line. Or, just delete the “php” string entirely. subdir on your various home dirs. going thru the setup of Php/Apache and the other goodies. This article is ancient but shows up when looking for fedora pdo mysql. Since Fedora replaced mysql with mariadb I have difficulty installing the pdo driver for mysql/mariadb. My phpinfo doesn’t show the driver as being installed even though I installed mariadb AND php-pdo.x86_64. When searching for help it isn’t very productive to have articles like this show up (outdated 2 years ago). Could you please update this article or just remove it? Outdated and currently incorrect Linux documentation is taking up 80% of space when looking for help.